Comments: The silver and wine color in leaf of this tropical vine make for interest in the interior garden. Great in hanging baskets and can stand relatively low light. Must have a minimum 50 degree F. temperature. Cannot tolerate freezing temperatures at all. A major feature of this vine is the underside of the leaves which have a red velvet coloring with a fuzzy surface. The vine climbs by tendrils and grows very fast in hot humid climates. Excellent vine for totem poles and hanging baskets. 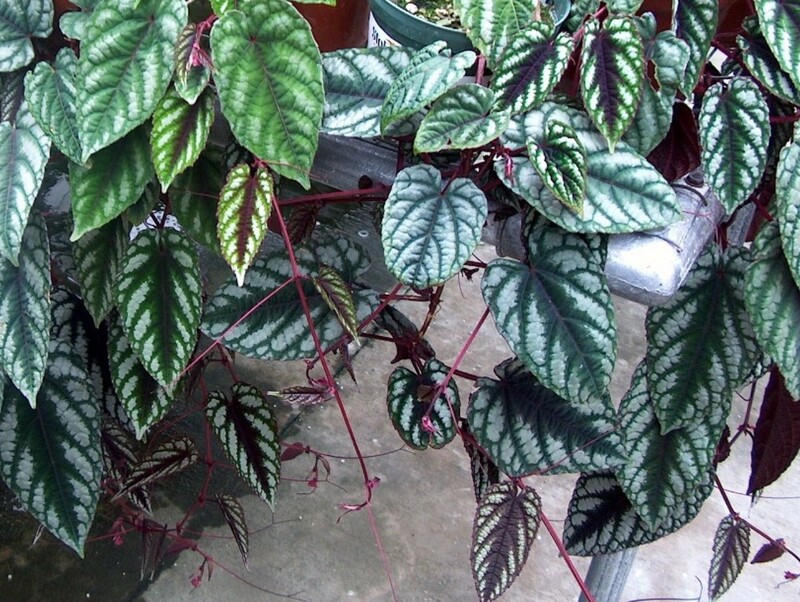 Although called by its common name begonia, it is not a begonia, but looks somewhat like a begonia.